Like other Civilization games before it, Civilization VI will be getting an expansion next year, as developer Firaxis announced last month. And although you might think (and rightly so) that Civilization VI is already as feature complete as any strategy game could be, the game’s upcoming Rise and Fall expansion will add some interesting new features to the game such as loyalty, allowing you to take over enemy cities without firing a shot. This upcoming expansion (which will be released in February 2018) also adds several new civilizations to the game, including Korea and the Netherlands, while developer Firaxis has now announced that Mongolia will feature in the Rise and Fall expansion too. And even though the new gameplay concept of loyalty will let you claim rival cities without resorting to force, it’s clear that Mongolia is a civ built for war. After all, its leader Genghis Khan was one of the most bloodthirsty conquerors in history, and Mongolia was feared worldwide due to its powerful cavalry. To reflect this in-game, Mongolia gets the “Ordu” city improvement which replaces the stable other civs get. These grants extra movement points to cavalry units trained in the city, which could come in handy early in the game if you plan to take over territory quickly. Also, this civ’s unique unit (the Keshig) has more range than rival’s horseback units, and other units travelling in formation with the Keshig will travel at the same speed too. 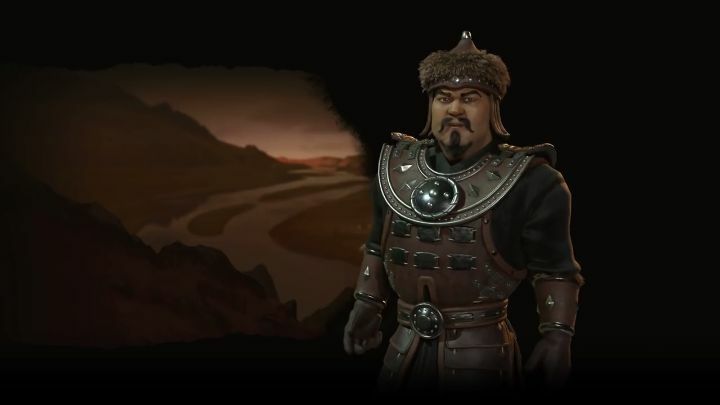 Also interesting is that Mongolia’s mounted units can capture and assimilate rival civs mounted units too, something which could help you grow an army quickly early on. But although Mongolia is a civilization clearly geared for war, ironically it also gets an interesting diplomatic bonus in the game. When establishing a trade route with a rival nation, a trading post is setup in the destination city, improving your diplomatic standing with the other leader. So, it might even be possible to go through the game playing as Mongolia and actually be nice to everyone else, proving things don’t have to play out as they did in history in a game of Civilization. It remains to be seen, though, whether this upcoming expansion will do enough to revitalize Civilization VI and make the game feel fresh again, something we will find out when Rise and Fall arrives early next year.